Microsoft’s latest Windows 10 Insider build for the “Redstone 4” update cycle has revealed some neat features that will make Windows work better. Features like phone-like Autosuggest for text typing, Near Share with other Windows devices, Windows Update bandwidth control among others were noticeable in the latest review. Microsoft launched Windows 10 Insider build 17035 for the Fast Ring on Wednesday, one of the first code releases for what’s been referred to as “Redstone 4,” or the update cycle following the Fall Creators Update. If Microsoft holds to its current schedule, Redstone 4 should be due early 2018, perhaps in February or March. Microsoft has begun to add generally useful technologies, such an optional autosuggest feature—not autocorrect, but autosuggest. As you type, Microsoft will pop up suggestions for the next word. 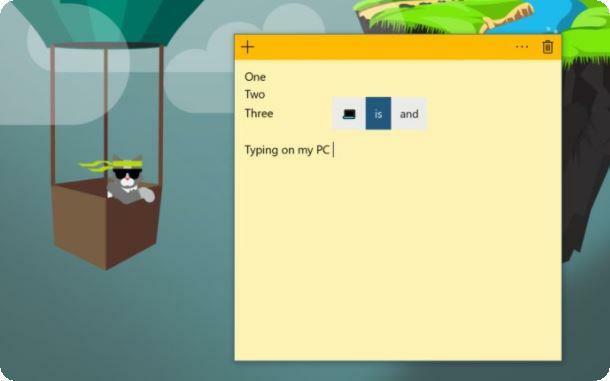 It’s a feature typically found on phones, which now is included in Windows. The kicker, though, is that you don’t need to use the soft or touch keyboard to enable autosuggest—it works with your standard hardware keyboard. To enable it, go to Settings > Devices > Typing and then toggle on the Show text suggestions as you type on hardware keyboard setting. It’s pretty easy to just haul out a USB key and copy a file over—if you have one handy. Near Share replaces that with Bluetooth, however. 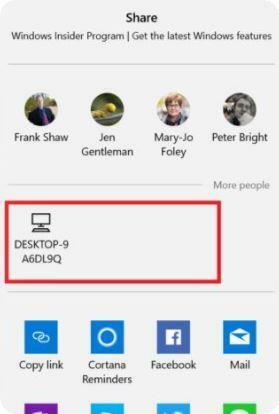 Within Windows 10, you can share just about any file to email, Facebook, and more. 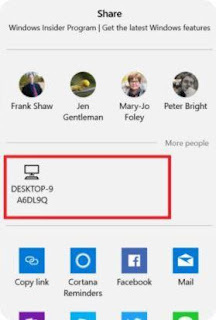 Now your PC can seek out nearby PCs and offer to share a file, too. You’ll need to have the current Insider build 17035 (or, as new builds are launched, something more recent). You’ll need to turn Bluetooth on, then make sure that the “Near Share” button in the Action Center is toggled on. After that, every time you see the “Share” icon, you’ll have the option to share the file or URL with a nearby device. The recipient will get a note in the Action Center to either accept it or decline. While the Fall Creators Update allowed you to adjust the bandwidth used by Windows updates, the new build extends that same functionality to “foreground updates”—basically downloads you kick off, like apps you download from the Store. That’s handy, if only because people rarely babysit a major app download (such as a game like Gears of War 4), instead focusing on other things, like web browsing. These features are available on Windows 10 Insiders Build recent releases. Windows Insiders are part of the testing team trying out new features before they are built into the main OS for release to everyone.